Back on Market due to previous buyer's property falling through. 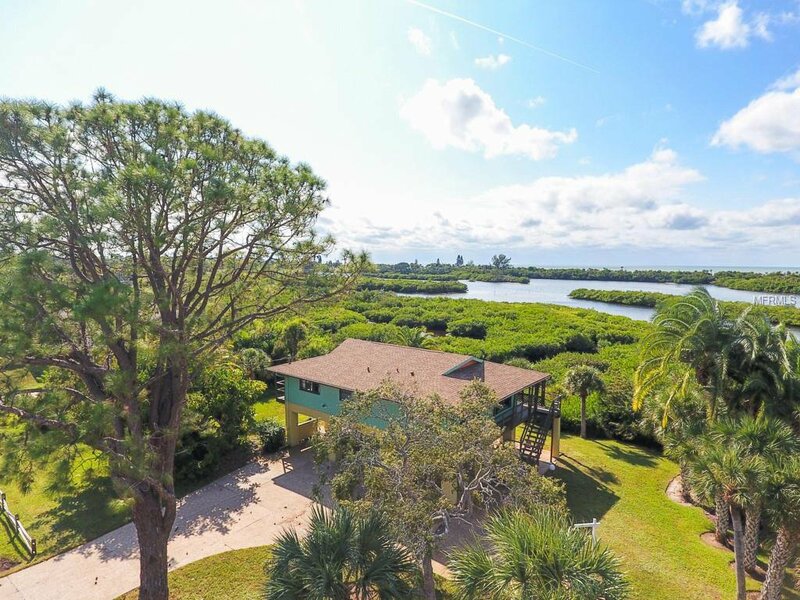 1.42 ACRES OF WATERFRONT PROPERTY on Lemon Bay! Fully Renovated Beach Home! Phenomenal Sunsets! Amazing Views that leave such Impressionable moments! Elevator Access! All New Kitchen, New Bathrooms, Newer Septic and Drain-field, Newer A/C, New Flooring throughout, New Interior & Exterior Paint, New Fixtures and Lighting, New Shelving, New Stairs, Many Handcrafted touches such as the Oars near the staircase, Hanging Lights etc... Perfectly Matching Beach-Like Ambiance and Colors throughout the Home! Make sure to View the VIRTUAL TOUR!!! This house is the second home from the South Venice Ferry. Optional Association Fee allows you to use the Boat Ramp and access to the Private Beach with transportation on the Ferry! Listing courtesy of RE/MAX ALLIANCE GROUP. Selling Office: KELLER WILLIAMS REALTY GOLD.